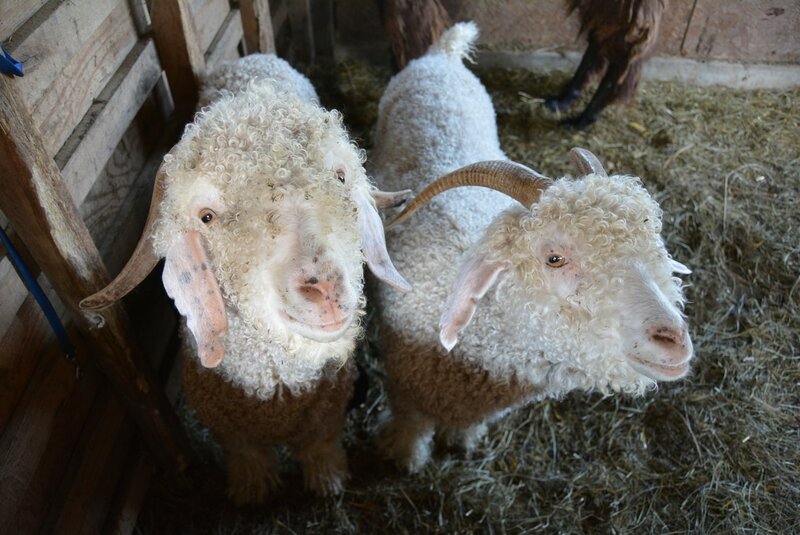 Our precious angora goats come from only the best breeding stock in the country. At this time, all of our angoras originate from Speck Angoras in Kerrville, TX. 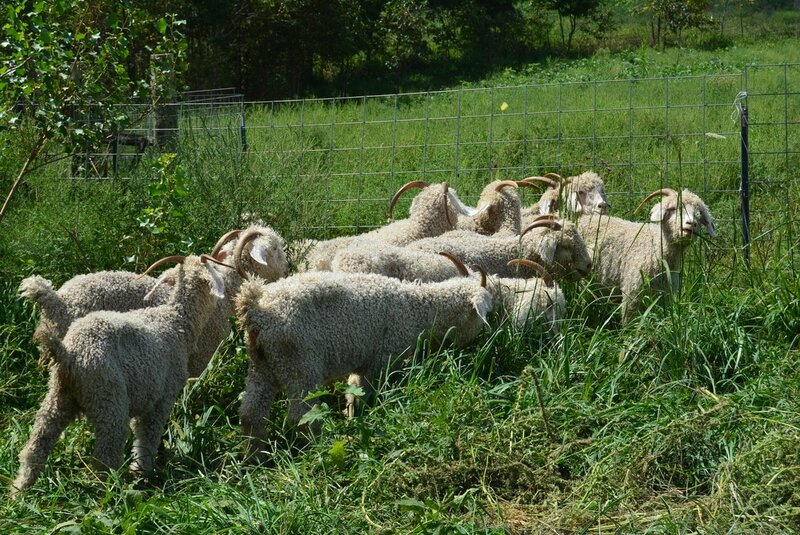 With such quality breeding, our angoras produce copious amounts of fine kid mohair throughout their lives. They are very well-behaved, loving companions and we are truly blessed to enjoy their precious company! They're so sweet and expressive! ​She's always so curious as to what we're doing when we're taking pictures. They are very sweet and lovable. Here's one of our precious girls giving Jarita kisses. 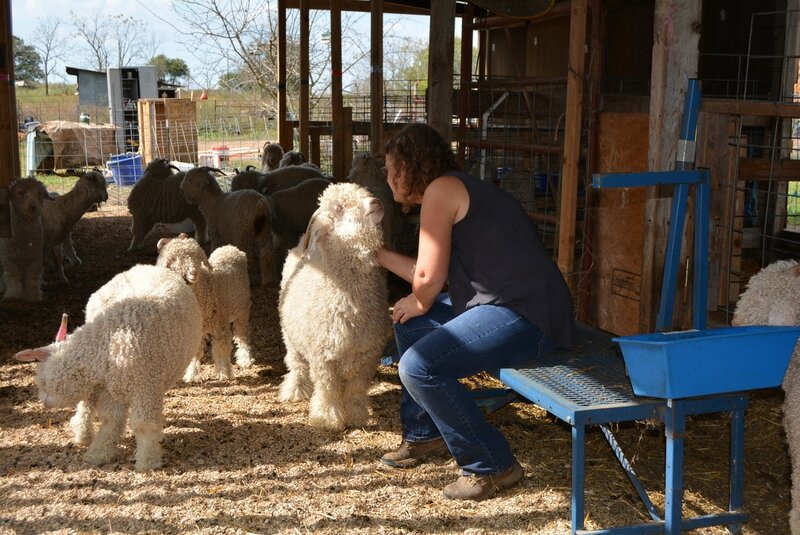 Roger spending some time trimming hooves to help keep our Angoras healthy and happy. 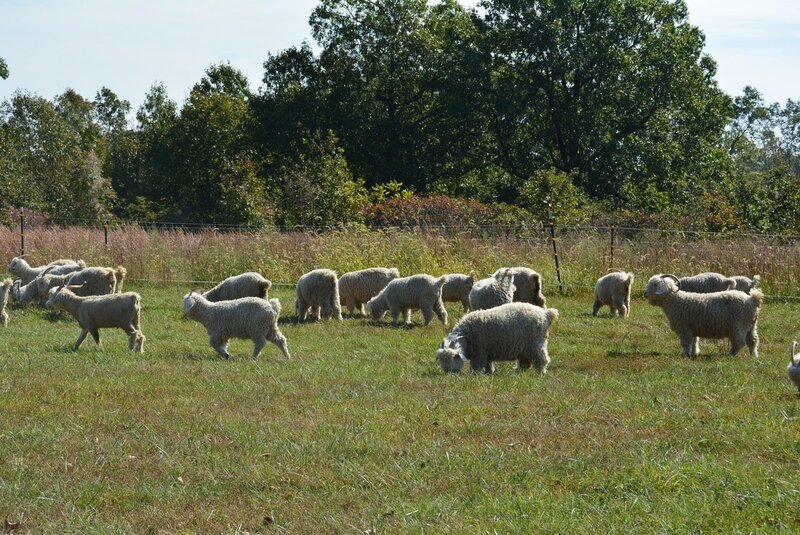 Our very fluffy, lovable Angoras enjoying the beautiful green pasture.